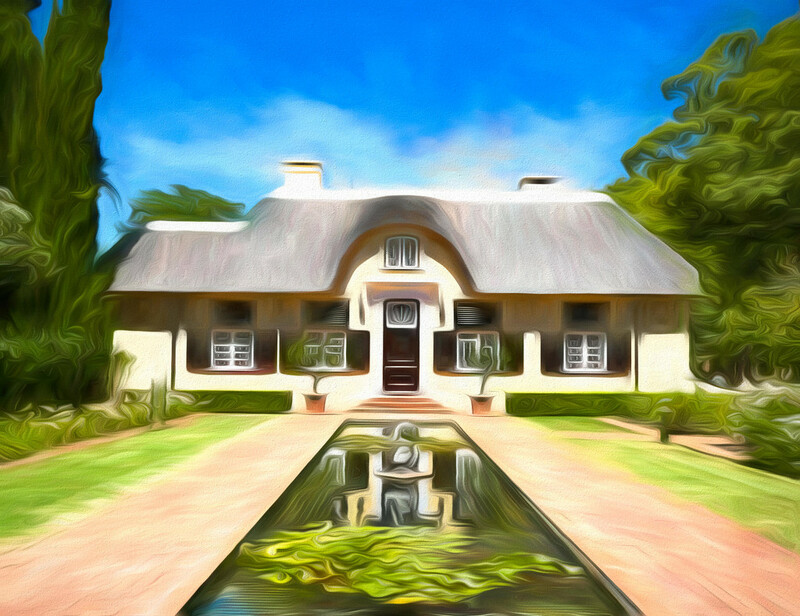 One of the homes on Vergelegen wine estate which belonged to the Governor of the Cape Simon van der Stel. He bought 30,000 hectare in 1700, planted half a million wine stocks, Camphor and Oak trees. He also had cattle and sheep. oh wow, this processing is such fun! Oh this is different, like an oil painting. How did you do it? Thank you so much for entering the O’Keeffe challenge! This is beautiful, I love the deep, rich colors and your processing is wonderful. A great editing on this beautiful house shot. So beautiful. I love your processing. Very Georgia O'Keefe. The reflection is what makes this really pop for me and takes me into G O'K's territory. Very cool.